Intentional consumption of insects is on the rise! 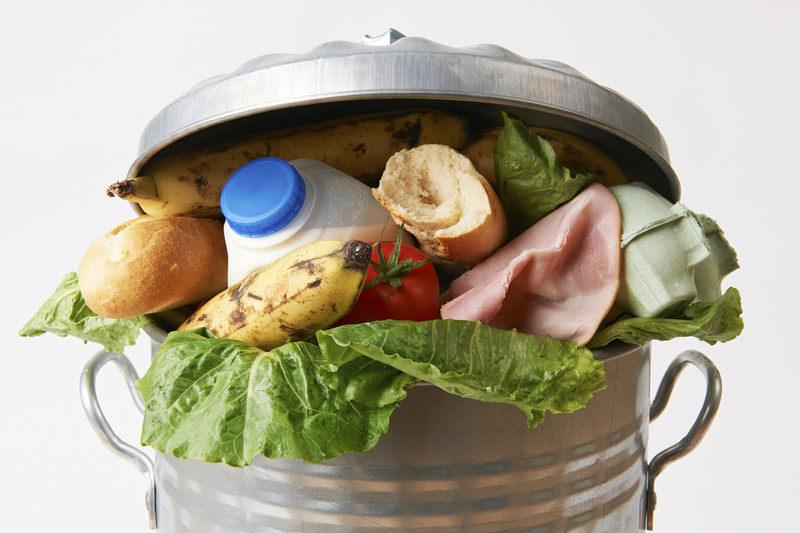 [shareaholic app="share_buttons" id="15180628"][printfriendly]Are your children’s eating habits bugging you? 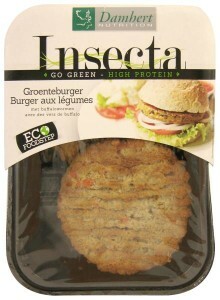 I have a suggestion for a safe, natural and nutritious alternative, insects! 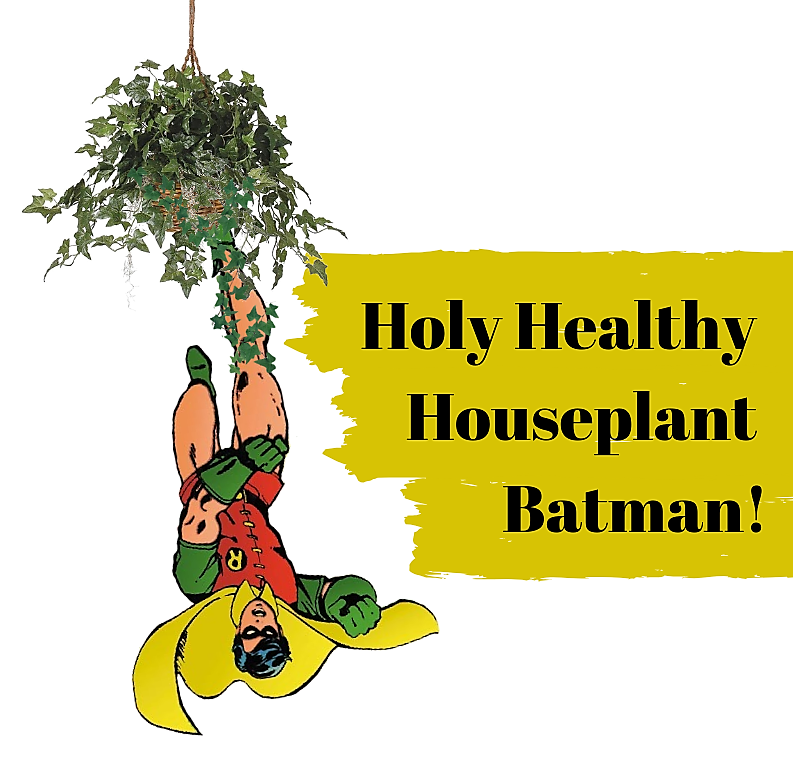 Last week while attending a food safety conference in Berlin one session stood out for me, it was the impact of increased insect consumption and their safety. 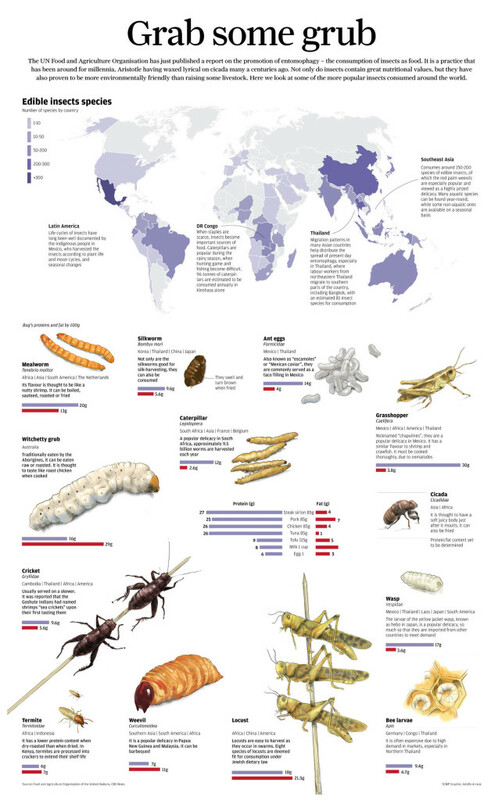 In which I was intrigued to learn that there are over 2,000 types of insects safe for human consumption. The top three categories are beetles (30%), caterpillars (17%) and ants, bees and wasps (15%). 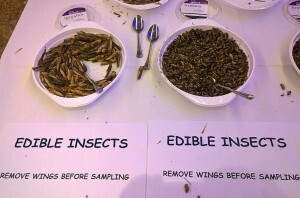 After the session, the conference organizers provided samples of various insects to try. The closest I got was to take pictures! While a salad garnished with beetles instead of croutons, buggy brownies, cricket-based chili or buglava might sound unappetizing or nauseating to you, in many cultures around the world, insects have been a part of diets for centuries. As global demand for meat rapidly increases, insects offer growing populations an alternate and sustainable protein source. It is estimated that insect production could be as big as 1.3 billion tonnes, worth US$750 billion. Obviously, these small creatures have already obtained a large market, which is expected to grow. There are over 200 companies working to include insects as part of the protein requirements for humans. 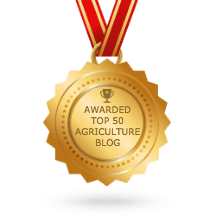 Two recent publications have raised awareness of insect consumption, a 2013 report on edible insects released by the Food and Agriculture Organization and The Insect Cookbook published in 2014. 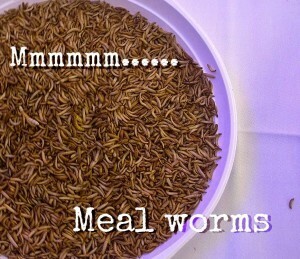 Now products are popping up in grocery stores, like the Dutch retailers selling products made from mealworms. Most insect production is used in animal feed, particularly for poultry and fish. 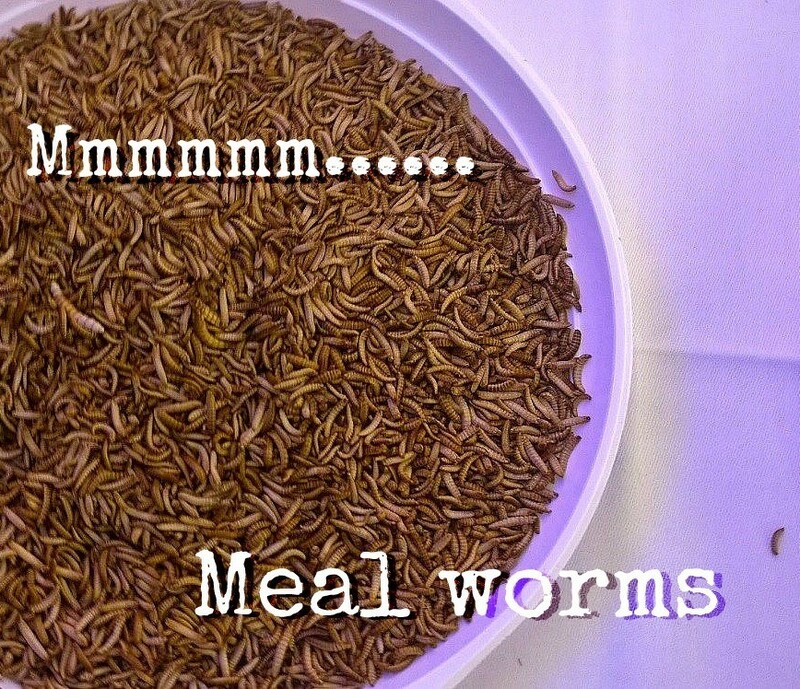 Enterrra, a Vancouver-based company, is awaiting approval to produce fish meal feed from black soldier fly larvae. Such a protein source (insects or their larvae) can be produced and contained in specially designed warehouses quickly and in small areas, contributing to a sustainable way of producing ingredients for animal feed and lowering feed costs. 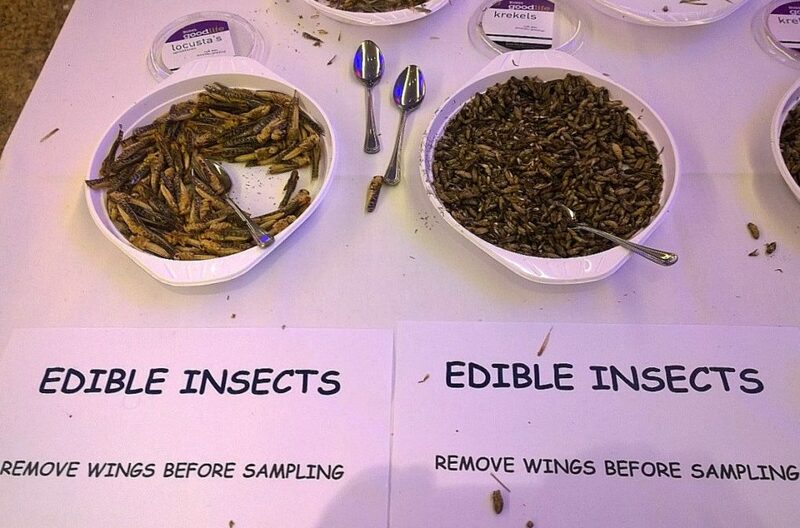 Although I did not bravely sample insects last week, the idea of eating insects is not as bad as one might think. A few year back at a conference, a dinner was served on a relatively poorly lit balcony. At one point during the wonderful Italian meal, a platter of fish and what looked like “coleslaw” was passed around, which I thought had a bit of an odd taste to it. It wasn’t until hours later that I was chatting with an individual who worked with insects and plants and he asked me, “How did you like the pickled seaworms?” That’s why the coleslaw tasted so odd! The insect slaw was certainly different, but edible and I have survived to tell a more colourful version in of the story in person. The idea of dining on beetles while listening to The Beatles, may not appeal too many of us, but don’t be surprised if you find an insect product available on store shelves in the very near future. Would you be willing to serve wormy Waldorf salad or pan-fried grasshoppers to your family or dinner guests? 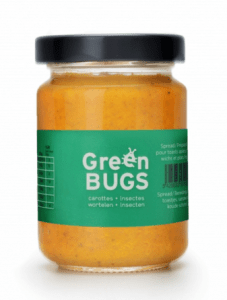 What would it take for you to add a sustainable insect product to your diet?